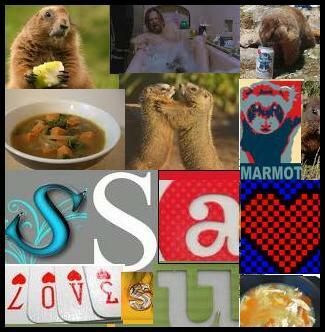 A Several Small Animals Anecdote: Marmot Soup. “That’s marmot soup.” I said. “You know what the secret is to a good marmot soup?” I asked. “It is love my son. Love.” I said. Then I turned off the burner, kissed their forehead and skipped joyfully away. “Enjoy the Marmot!” I shouted. This entry was posted on March 26, 2010 at 12:47 pm and is filed under Anecdotes. You can follow any responses to this entry through the RSS 2.0 feed. You can leave a response, or trackback from your own site. This is also important. A good marmot stock is so hard to come by.